22-inch spread pattern for maximum coverage and accuracy. 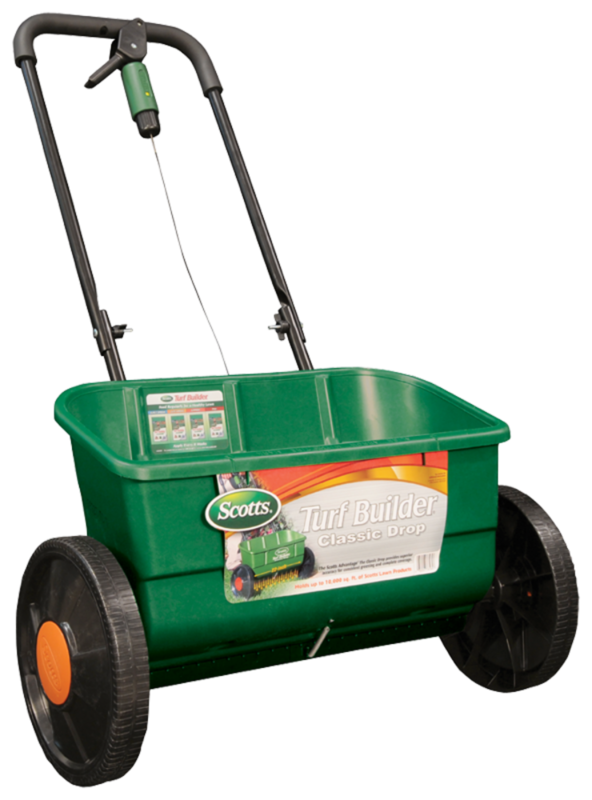 Turn rate control to correct setting listed on the back of each Scotts product. Overlap swaths slightly by lining up the arrow on the hopper with the wheel track from previous row. Heavy-duty frame for optimum stability.